It's amazing watching this little person in our house learn about language. Such fascinating development milestones to witness her learn how to express what she wants with different sounds and different emphases... learning ABCs and numbers... understanding what you say... learning few phrases or sentences and then singing. She turned 21 months old this week. This past 2 months was all about learning and fun. I'm thrilled that she's always willing to learn. She's more like cooperative everytime I put her to nap in the afternoon. I don't know why she's always hyper before sleeping. Hey Azumi, could you tell us how can we get to the library? We're actually putting effort of raising her be a bilingual kid (multilingual if possible). I've been speaking to her in english while everybody speaks to her in Nippongo. I hope it will turn out fine coz some people think it will only confuse her, switching language every now and then.. Do you find this a good method or should we try something else? Advices are much appreciated.. Thank you, as always. Wow mommy bamz great job, galing ni anzu ahh. very smart girl. she can recognize letter sounds and illustrations. I like that picture you are holding saan ba yan mabibili hehehe. good job anzu. sampung palakpak for you princess clap10x hehe. nag enjoy ako sa video pati si jake. We are doing the same thing with Askim, sis. We also want her to be able to use different languages. I speak to her in Tagalog and English. I sometimes even talk to her in my native dialect, then hubby teaches her Turkish. Being a multilingual is always an advantage, right? You have to keep both languages going. A little story about me. I use to speak french when I was a child. My parents decided we needed to speak English only at all times. I lost the French and here I am not even very good English. It's really amazing how Anzu has progressed by leaps and bounds. She now can sing the alphabet and soon she will learn her ABC's. She is very intelligent and has shown her great capacity to acquire new skills and knowledge. Thanks for the joyous post. God bless you all always. She is such a smart kid Bams, continue teaching her bilingual, if possible nga turuan mo din tagalog kasi mas nagagrasp ng maga bata ang language sa ganyANg edad. It's the perfect stage where they learn a lot (until 7 years old) pag lampas na daw 7 you can tell the difference kasi may accent na.. Great job in teaching Anzy Bams. Yan ang advantage ng SAHM, nakafocus taklaga attentin mo sa kanya.. I am so proud of you Anzy. Mwah! I love all the vids including the one on the sidebar! She is such a sweet, talented, and smart little girl, keep it up! Hi girl.. kahit di ka magcomment ok lang. I'm not after that.. gusto ko lang i-share ang mga ginagawa ko =) Laki na ng mga dolies natin no.. I miss Kimmy.. buti may update ako sa yo FB.. thanks girl. 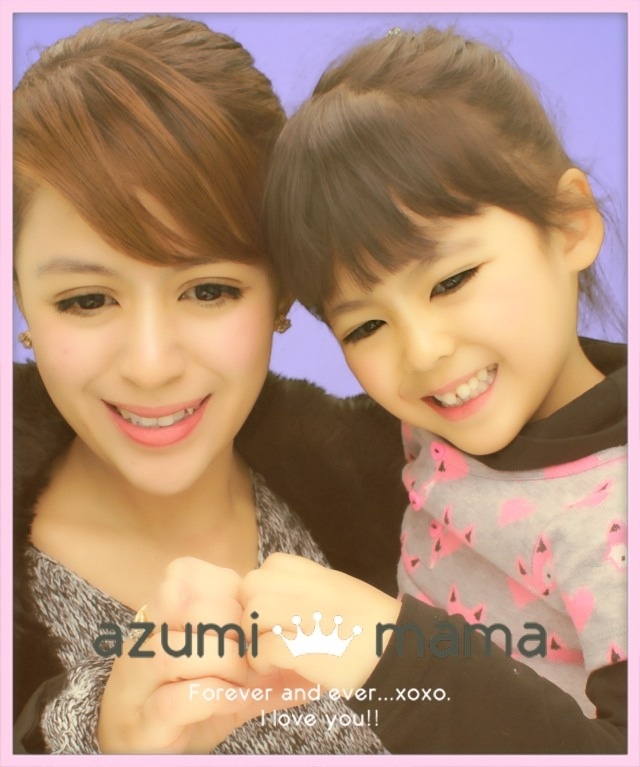 super smart toddler ni anzu!! cute videos too..